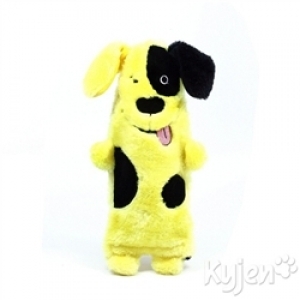 Fun plush character toys with recycled water bottles inside. Dogs love the cute toys, and the crinkle of the replaceable water bottle provides hours of fun. With Bottle Buddies toys, our goal is to reuse plastic bottles that would otherwise be added to overflowing landfills, and create more awareness of this growing environmental concern. Measures 6"w x 12.25"h x 2.5"d.